Erosion. Gum Disease. Tooth Decay. They destroy your smile, and all three are prevalent in mature Adult teeth. “The miracle cure for tooth decay will happen within twenty years” said the discoverer of the effects of fluoride, Robert Knudsen in a Symposium in the early 1960’s. It’s 2010 and teeth are still decaying. The simple answer is bacteria. The complex answer is that the mouth is a hostile environment. When is the last time you saw a car last 80 years? Drenched in acid, attacked by bacteria, eroded by strong abrasives a car would not last 5 years. Drive down to the beach and look at the local cars. Pitted chrome on the bumpers, and rust stains around the doors are just like decay on teeth. Why expect teeth to last a lifetime when you can’t even protect your Mustang? Its Amazing teeth can last 80 years or more with some simple rules. “A clean tooth is a happy tooth” said Chuck Luscia an Navy dental technician fifty years ago. Today a clean tooth is likely to be an eroded stump stripped of enamel by abrasion from chewing, eroded by food acids and sanded clean by heavy brushing with sand treated with phosphoric acid. (Silica Gel – a.k.a. whitening tooth paste). Teeth dissolve slowly in acid. So why not keep the acid from coming in contact with the teeth? Soft Drinks have a ph around 2.8 (which is why drinking them is a fast-track to tooth decay). Even bacteria produce lactic acid as a byproduct of its digestion of food. The stomach contains acid under ph 2.5 so gastric reflux from our own body can do severe damage. Want to eat something really destructive to the teeth? Take stone ground tortillas deep fried till they are hard, and then cover them in salt to make them extra abrasive. Dip the chips in a salsa made with tomatoes, onions lime juice and vinegar to make a really acidy mix. Eat as many of the chips as possible so any weak tooth calcium can be eroded away to expose the tiny strings of protein that held the calcium together then chew another chip to destroy the only hope to re mineralize the surface of the tooth. Clear the debris away with a sangria made from highly acidic white wine and soft drinks. Place your hand over the part of your mouth where it hurts and call your dental office! Ouch there goes happy hour. That may be an extreme example but it is all natural. Take something really hard, mix in some rock particles and cover then with an abrasive. Then add a catalyst made from a good tasting mix of acids in an organic base, boost the acidity with distilled acids then erode away. Want some answers? I’ve painted a dismal picture to try and help you see the kind of battle your teeth go through every single day. You destroy your teeth daily. But there ARE some simple techniques and concepts that can really make a difference! Re mineralizing teeth is possible daily when eating. 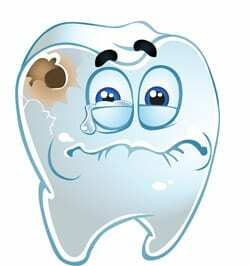 A clean tooth will accept calcium to re establish the tooth crystal called calcium hydroxyl apatite. There is a paste called recaldent that can put the calcium back on the tooth. Even sharp chedder cheese has high levels of calcium. Skim milk may also work since it has calcium without the fat that can interfere with calcium uptake. Brushing can help if is done right. Like cars the decay starts around the edges not on the smooth surfaces. A dentist named Bass described a method called sulcular brushing in the ADA journal (Oct. 1958) that aims the tooth brush down toward the gum into the tough around the tooth. This cleans around the edges of the tooth and goes a long way to preventing the erosion described above. The problem is changing your technique to be able to aim the brush. The same is true for tooth brushing. Holding your tooth brush like a hammer is not going to get the job done. Hold your toothbrush like a pencil or a chop stick to get the grip right. Keep the elbow down against your side. If the elbow is up you are holding the brush like a hammer. Then aim the tip of the brush down towards where the tooth and gum come together at about a 45 degree angle. And what about that miracle cure? As mentioned earlier, one of the primary causes of tooth decay is a bacteria called Strep Mutans. One cure is to stop the ability of S.mutans to cause decay by modifying its ability to cause decay. According to a recent British Study, use of a prescription medication called Peridex combined with the daily use of Xylitol (a natural sweetener) appears to neutralize Strep Mutans ability to decay your teeth. This entry was posted by admin on May 23, 2010 at 11:00 am, and is filed under Blog, Caring For Your Smile. Follow any responses to this post through RSS 2.0.You can leave a response or trackback from your own site.